Franklin Ramón Chang Díaz has a broader perspective than most: he has literally looked at our planet from orbit. Franklin Ramón Chang Díaz had counted down from 10 countless times. He’d felt the weight of gravity like a gorilla sitting on his chest and simulated weightlessness in months of training. So, on January 12, 1986, as his craft lifted off for its 2.5 million-mile trip, he felt as if he’d done it before. But there was nothing familiar about seeing the Earth from outer space. His first mission as a United States astronaut is not the one Chang Díaz remembers best, but it is the one that stands out. Having flown seven missions in his career, which earned him the shared honor of most space flights by a single person, each was distinct and revealed to him a new “flavor,” like tasting a wine over and over again. But the gravity of the sensations on that first flight made the mission distinct and permanently affected Chang Díaz. As an entrepreneur and director on multiple corporate boards, Chang Díaz brings the typical acumen to his business responsibilities. 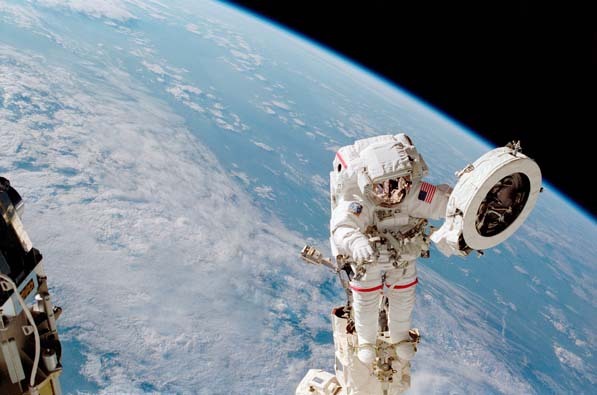 But as a Hispanic and retired astronaut, he is helping foundations and businesses boldly go where they haven’t before. From the time he was seven years old, Chang Díaz knew he wanted to be a space explorer. While he and his friends never physically left the ground on the imaginary adventures and monster-fighting missions they took in their cardboard space ship, Chang Díaz’s mind never really came back to Earth once he set it on space exploration. Growing up in Costa Rica in the 1950s, he was the product of both the Space Age and an educational renaissance within the country. On December 1, 1948, following a short revolution, former president José Figueres Ferrer abolished the Costa Rican military, freeing up funds for education. And on April 12, 1961, the first man was launched into space. “It was something that transformed the way people thought and looked at the sky,” Chang Díaz says of the mission. For Chang Díaz, it made the dream of lifting off in a real spaceship that much more tenable. He knew the realization of that dream lay in the United States, so after high school graduation his parents bought him a one-way ticket to America. Though it was all the family could afford at the time, Chang Díaz believes it was intentional. “My father was an immigrant himself who had moved to Venezuela in search of opportunity,” he says. “He knew the hardships I would face and how easy it would be to give up.” Arriving with $50 and no ability to speak English, the aspiring rocket scientist reenrolled in high school and completed his entire senior year over again to earn a scholarship to the University of Connecticut. 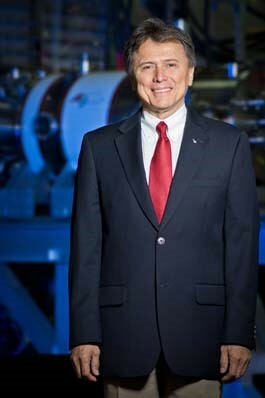 With a degree in mechanical engineering, he went to MIT to study thermonuclear fusion and plasma physics—Chang Díaz believed that humans would need to travel faster in space in order to reach the planets of the solar system, so he gained a foundation to create that technology himself—he was chosen by NASA as the first naturalized citizen and the first Latin American to join NASA’s astronaut corps. “It changed my life completely,” he says. One flight was all it took to launch Chang Díaz into the public eye. And with increased notoriety, he felt he had a responsibility to pursue his still unaccomplished goals and help others follow theirs. After an accomplished career flying into space, Chang Díaz decided his next contribution to space exploration would come from the lab. Forty years in the making, the pride of Chang Díaz’s company is changing the way people travel in space. The name, VASIMR, is an acronym. VASI stands for “variable specific impulse,” a unique feature of the rocket’s technology. Like the gears of a transmission, VASI adapts the thrust of the rocket to the conditions of the “road:” low gear for steep climbs and high gear for flat-out speed. Until now, rockets had only one “gear,” Chang Díaz says. The variation allows for increased efficiency at higher speeds, just as in automobiles. The “M” in VASIMR stands for “magnetoplasma” and reflects the second breakthrough technology of the rocket: a superconducting magnetic nozzle, a sort of tailpipe. It solves the problem of insulating the plasma exhausted from the rocket at temperatures as hot as the sun, which no known material can withstand. The invisible, magnetic force field is not affected by such factors. The “R,” of course, stands for rocket. “Space is a $300 billion business,” Chang Díaz says. “We’re positioning ourselves to be a major player in the efficient transportation industry near Earth.” According to Universe Today, more than 1,000 satellites orbit the planet, and Ad Astra hopes to be a leader in “cleaning the lanes” and preventing collisions. With the permanent grounding of the space shuttle in 2011, the potential for the VASIMR as an exploration rocket is exciting, but Chang Díaz says its initial use will be strategic for Ad Astra. “We’ll go to Mars one day, but that’s the romantic part, not the business part.” Currently, the standard flight time to Mars is 5–10 months. Chang Díaz predicts the VASIMR could get there in two. “In our industry we use the term ‘disruptive technology.’ It means that it changes the way things are done,” he says.